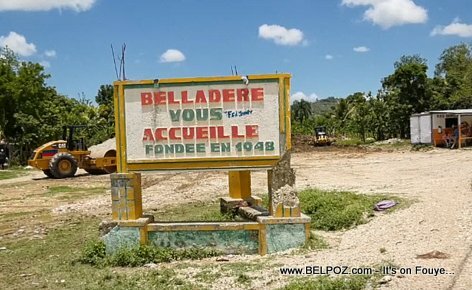 Belladere was just another little border town abandoned by the central government of Haiti until President Estime came and did some serious upgrading to it and made it commune. Belladère was the pride of President Dumarsais Estimé, one of the gateways to the country, according to newspaper Le Nouvelliste. President Estime rebuild Belladere, he erected a modern city with architecture that goes with a court house (tribunal de paix), a town hall, army barracks, a bazaar, a club, a prefecture, a standard hospital, dependencies for the doctors, a tax collectors office (contribution), a post office, a delegation, public squares and habitable houses. This was the last time I heard of a Haitian city that was built from scratch.